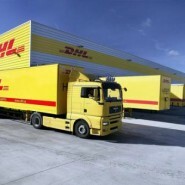 DHL wanted to consolidate their numerous business centres into a single operational hub within close proximity of Dublin airport. Our brief included sourcing a site that matched our client’s location requirements, and then in turn to find a developer to build and lease to them a bespoke 150,000sq ft building constructed in accordance with their corporate specification (Deutsche Post). Once sourced, we were briefed to undertake a client project management role by ensuring that the building complied with our client’s specification, programme and within budget expectations. The final part of our challenge was to negotiate early access for the client’s own fit-out contractors to ensure the new operations were up and running in time for the busy Christmas period. Having initially discounted sites within Dublin Airport on cost grounds, we then broadened our search to the North Dublin hinterland where we eventually secured a site of 13 acres which would comfortably accommodate the logistical and operational needs of DHL. By meeting regularly with the client, the developer and the developer’s design team, we were able to ascertain the client’s specific needs in terms of design and specification. Regular site progress meetings ensured that progress was maintained at all times in line with the agreed programme and that scope changes were managed efficiently. We also needed to liaise with Deutsche Post and DHL U.K. to ensure that their recommendations had been fully implemented. Finally, we ensured that client changes were fully tracked and that their cost impacts were notified to the client. By meeting regularly with the developer and the developer’s design team and main contractor, early access for the client’s contractors to fit-out the facility was negotiated. The completed facility was officially opened by the Minister for Transport Mr. Noel Dempsey T.D. in November 2007, which ensured that it was available for the critical Christmas period. The site selected exceeded client expectations and we delivered a design and specification that matched our client’s specific needs. The net outcome was that DHL achieved a state-of-the-art national hub facility, delivered in line with our client’s expectations.